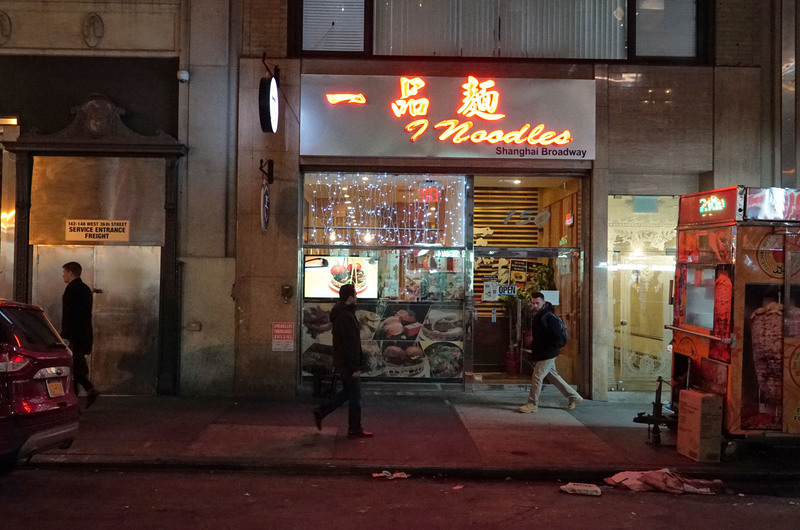 This relatively new ramen joint just offered up a Groupon deal that included two bowls of ramen for $19. 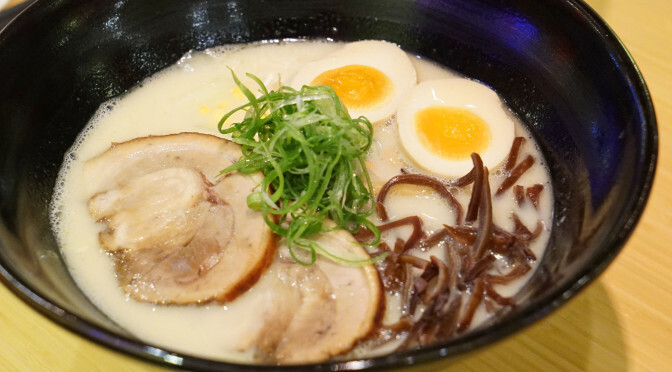 We tried the tonkotsu (pork) and beef bowls. Both were a little bit weak in terms of broth strength, and the noodles themselves were a bit too soft/overcooked. 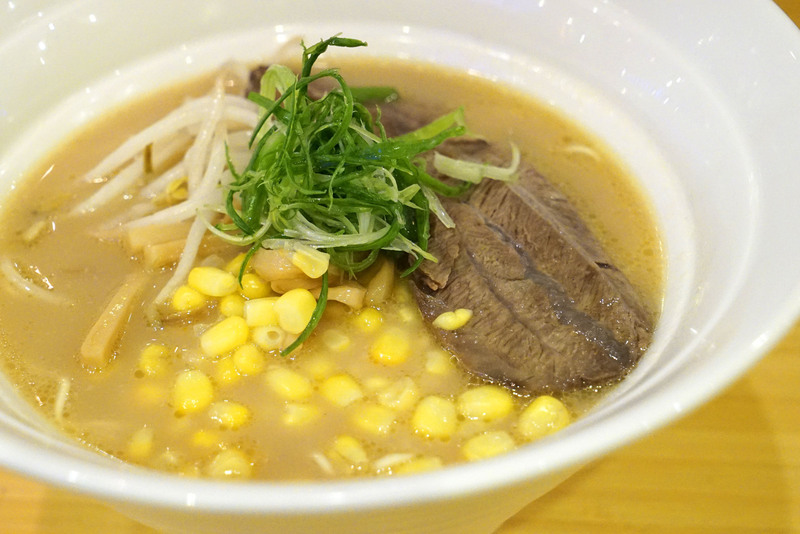 The beef bowl came with straight alkali noodles, two slices of beef short rib, bamboo shoots, corn, cabbage, green onions and bean sprouts. The broth had more of a Chinese soup flavor as opposed to the characteristic Japanese flavors you might normally associate with ramen. The meat was tender, but I think the use of cabbage watered down the broth too much and took away from what was meant to be a more full, thick and murky stock. 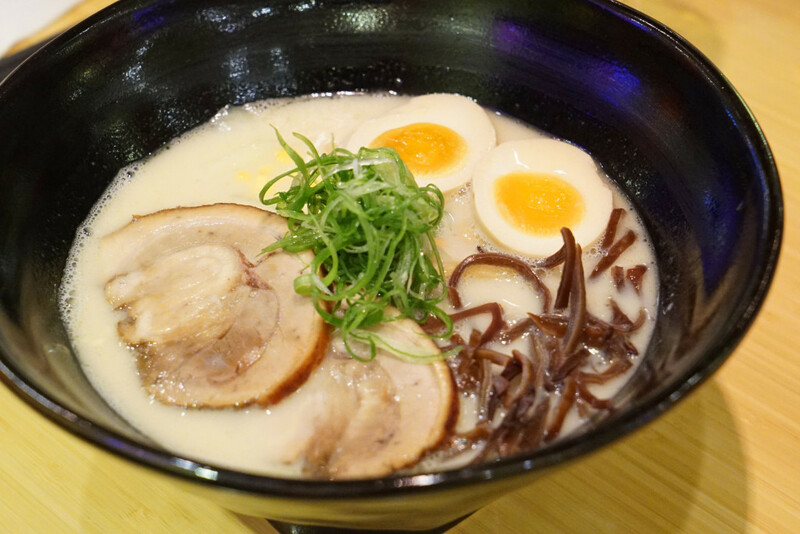 The better of the two was the tonkotsu, mainly because it came with seasoned boiled egg, which was the best part about both bowls of ramen here. The pork meat was better too, and this came with mushrooms as well as the bamboo shoots, corn and green onion. The noodles in this were wavy egg style. They offer a good happy hour with $3 beer and $5 wine, which is cool, but outside of using a Groupon I am not sure this place is ultimately worth your while. At full price I would have been annoyed at the quality, but since it was only $19 for two bowls it didn’t hurt as much. Caveat Emptor.